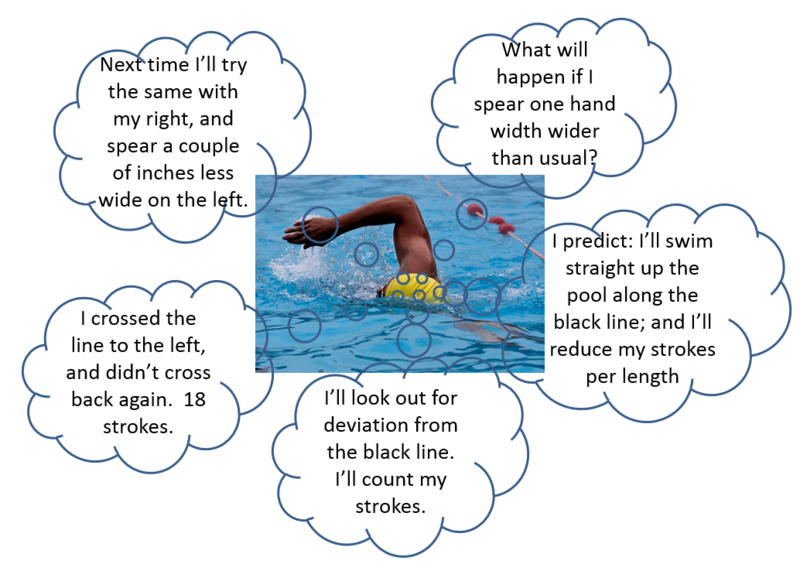 What data do you have in your head, or record in your swim notebook? Information is not knowledge. What’s in this swimmer’s head is all information, not knowledge. Deming tells us that if a statement conveys knowledge, it predicts future outcome, and a prediction risks being wrong. That can be quite scary. As swimmers it means making more effort to think about what we do in the pool, and what it means for our prediction to succeed or fail. 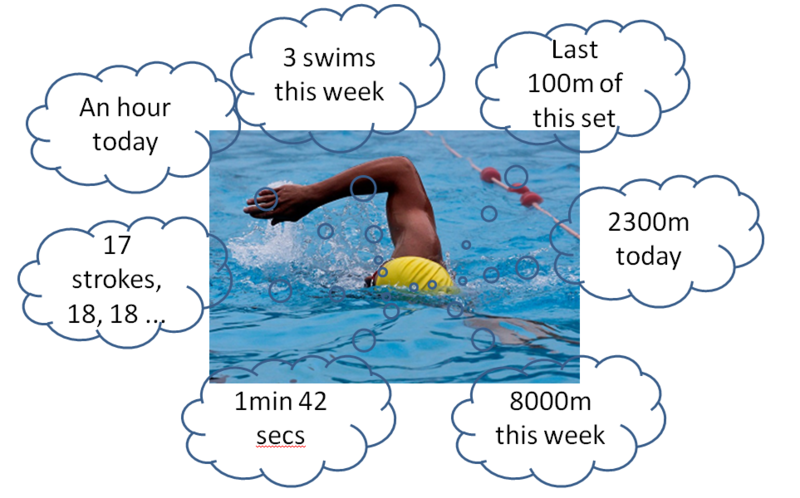 Our swim session template can help you to learn by structuring your plans for your swim sessions. Start with a question: what do you want to learn? Predict what the answer to your question will be. What do you need to measure to find out if the prediction is confirmed? Swim, and collect data as planned. What does the data you collect tell you about your prediction? Did your prediction succeed or fail? 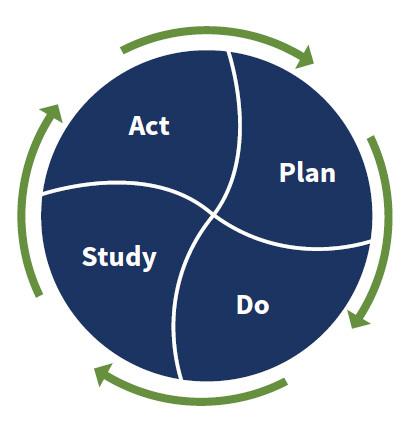 This is an application of the Plan-Do-Study-Act cycle, an approach to improvement based on building knowledge through making predictions and analysing the success or failure of our actions in relation to those predictions. Joy in learning comes not so much from what is learned, but from learning. 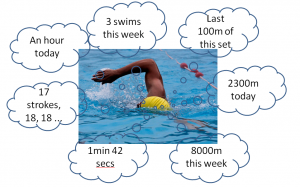 Our free swim session template is an application of the PDSA cycle to swimming. Look out for updates on how to use it to gain knowledge that will help you achieve your swimming goals. 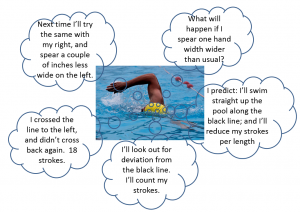 Introduce prediction into your swim sessions. What new knowledge does it bring? What new joy do you experience? Comment below.